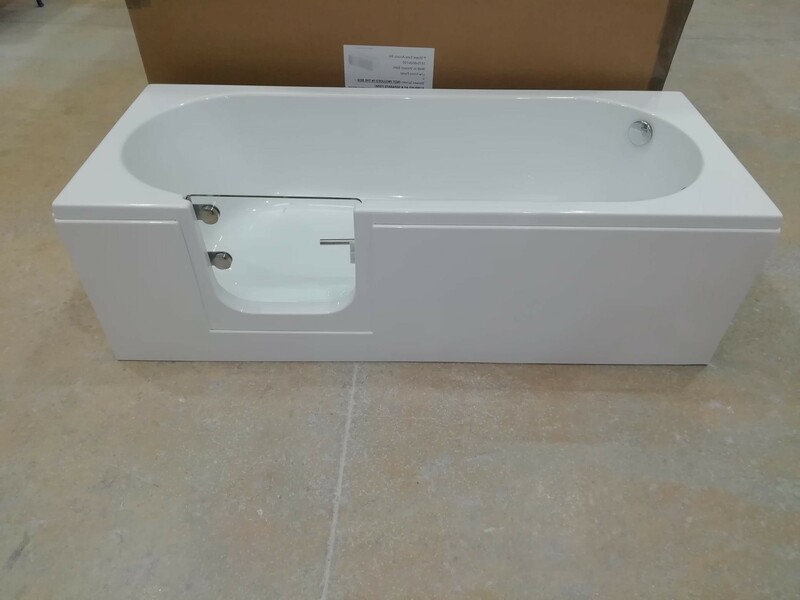 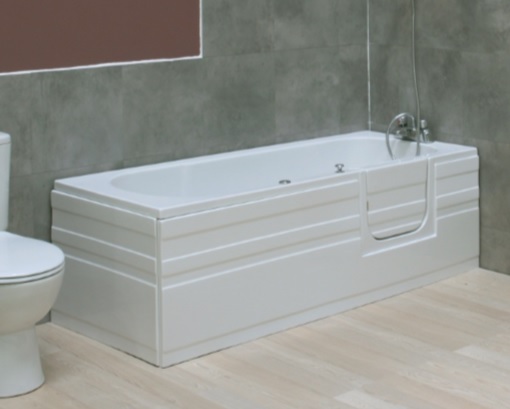 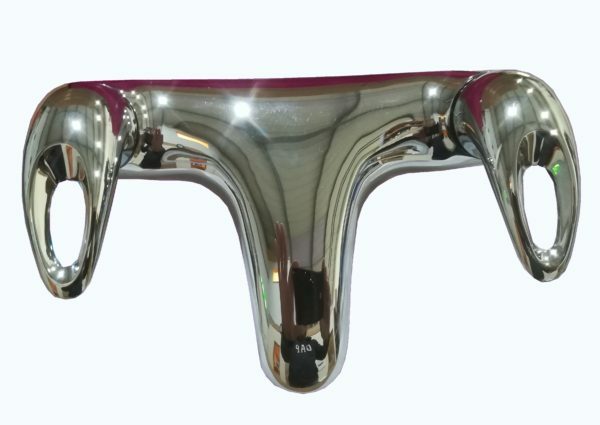 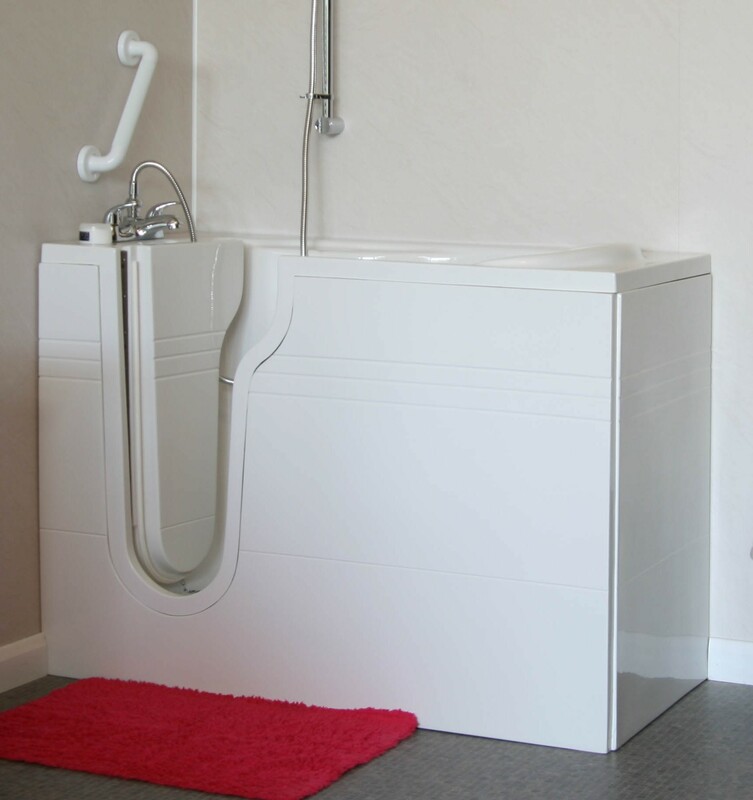 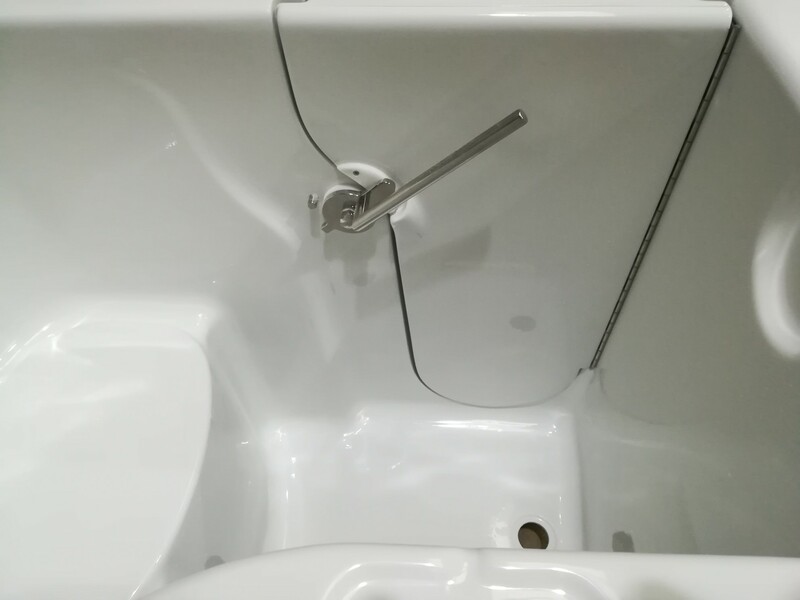 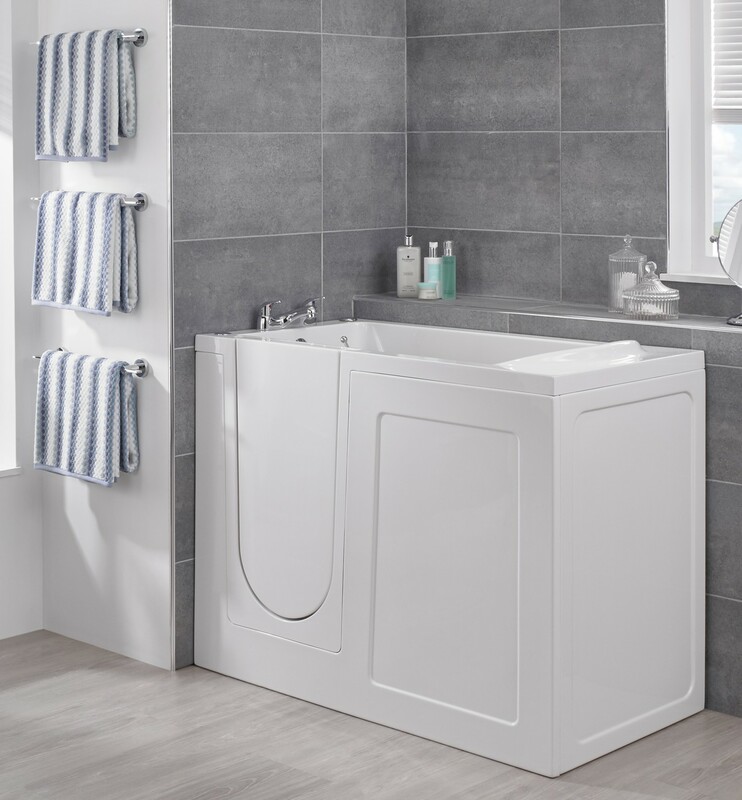 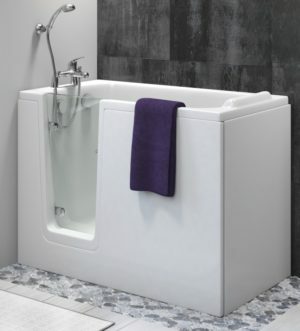 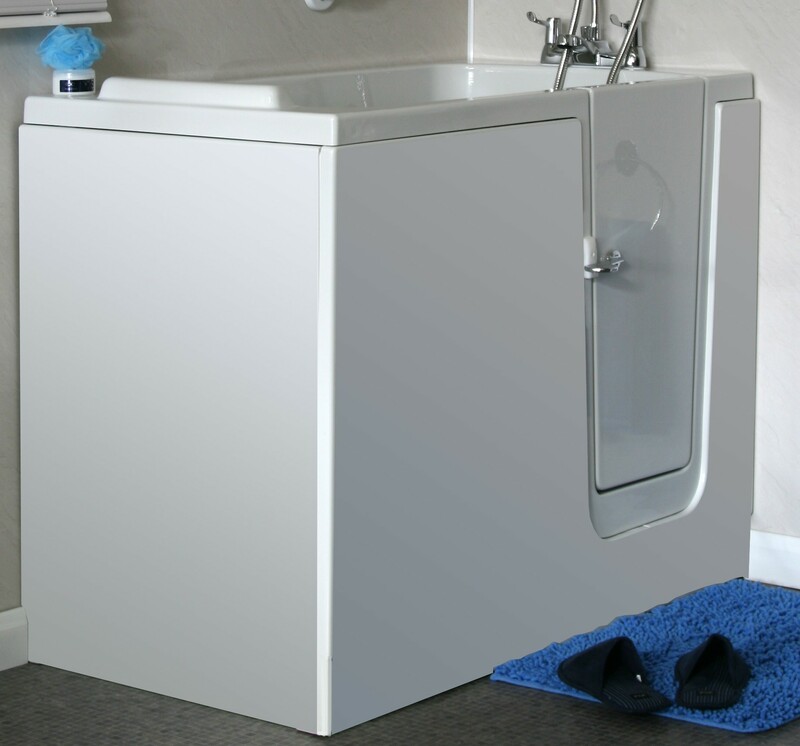 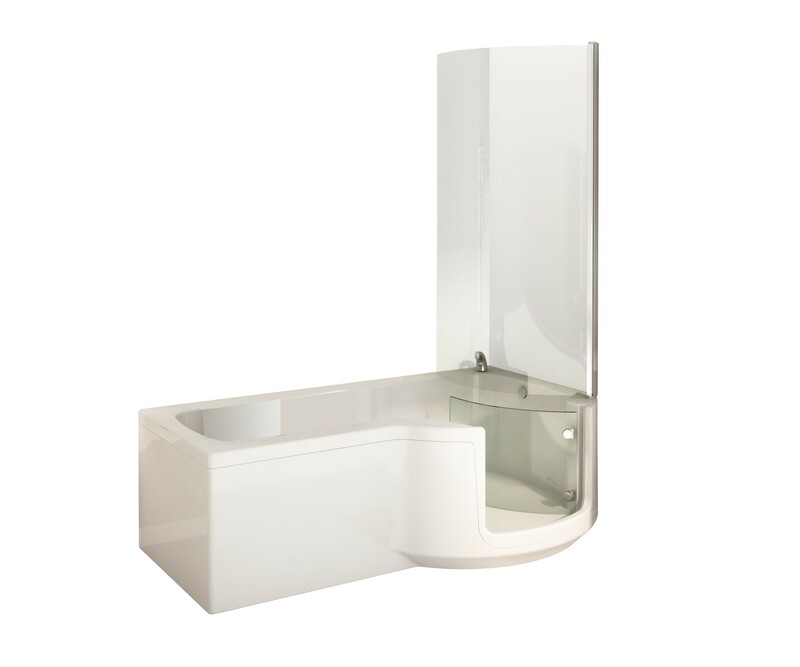 The Sapphire 2 and Sapphire 2 Mini walk in baths have some exciting and unique design features. 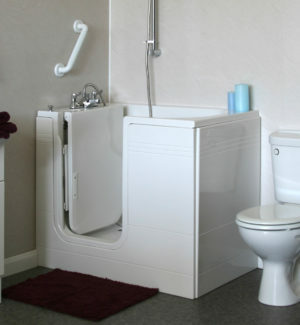 The specially shaped door means that you can take a seat, then pass the door over your knees whilst sitting down. 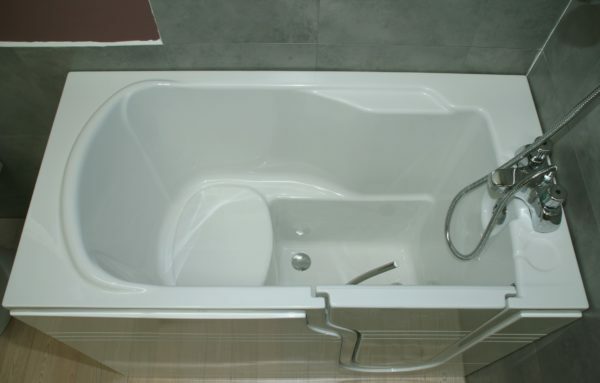 The interior is cleverly sculpted to reduce the volume of water you’ll require to fill the bath. 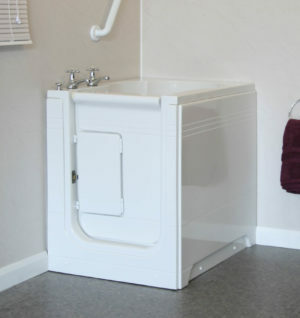 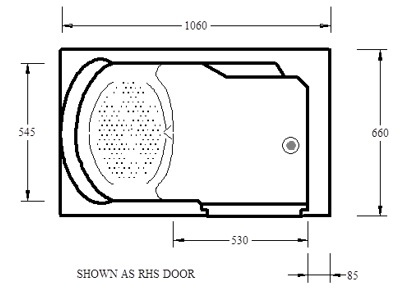 And a sturdy lever door locking system provides you with a guaranteed water seal. Choose from two sizes! 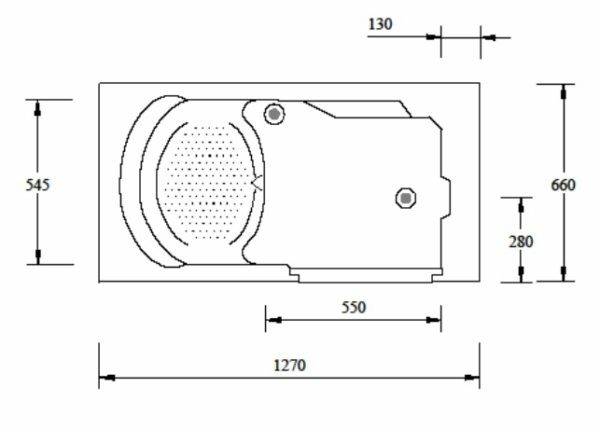 The Sapphire 2 is 1270mm long, and the Sapphire 2 Mini is 1060mm long. So even in a small space, you can enjoy the benefits of this bath. Clicker wastes are standard, or you can choose plug & chain wastes at no extra charge. Colour matching to your suite can be provided by special request – please call for details. The optional hydrotherapy spa will deliver streams of pre-warmed air bubbles to give you a relaxing massage. 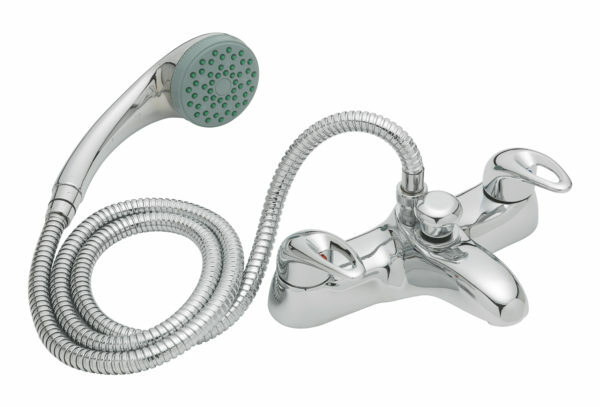 The water feels lighter as it is aerated by the bubbles, and your skin will feel invigorated and refreshed. 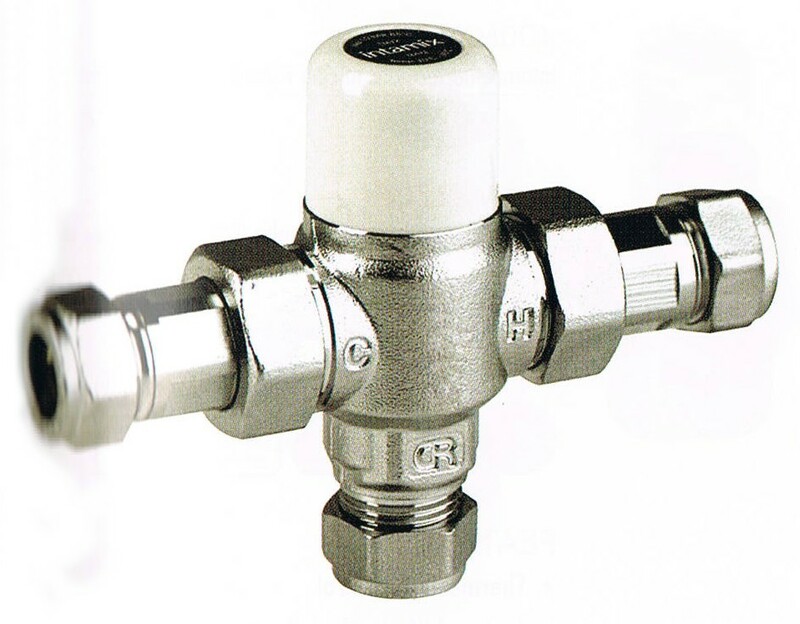 Because the spa is air driven, the effect is extremely gentle with no high pressure points. 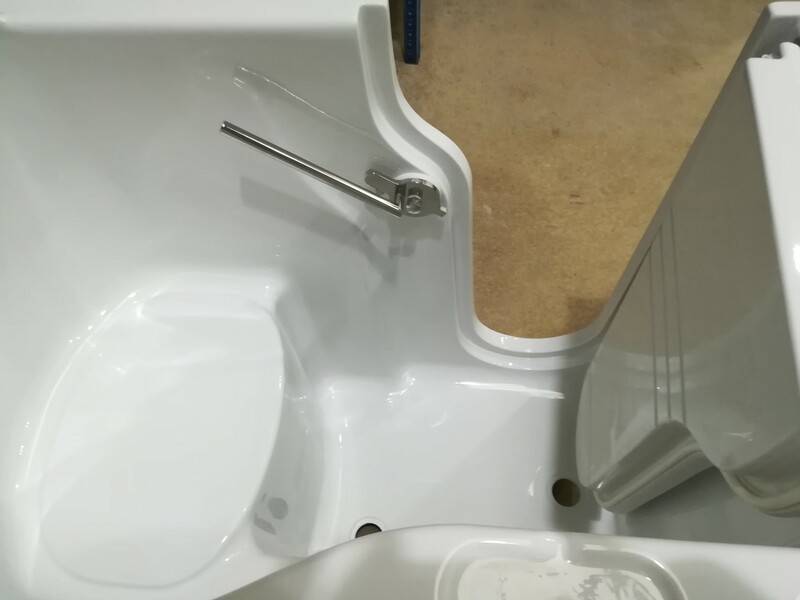 Our factory fitted warm air hydrotherapy spas use a self-purging system which dries itself after use, so no water is left in the pipes after use. 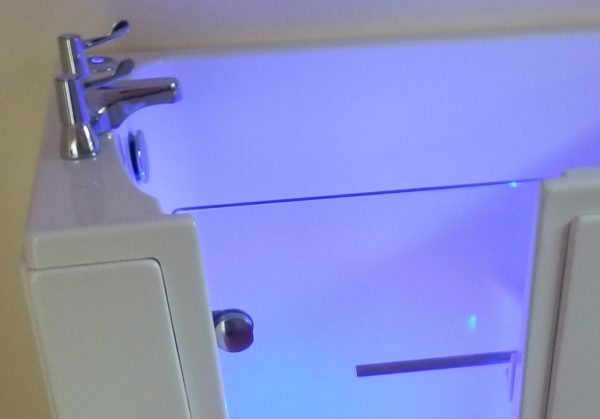 Once you’ve tried a hydrotherapy spa bath, you’ll never want an ordinary bath again! Sapphire 2 walk in baths – smart design, smart functionality!